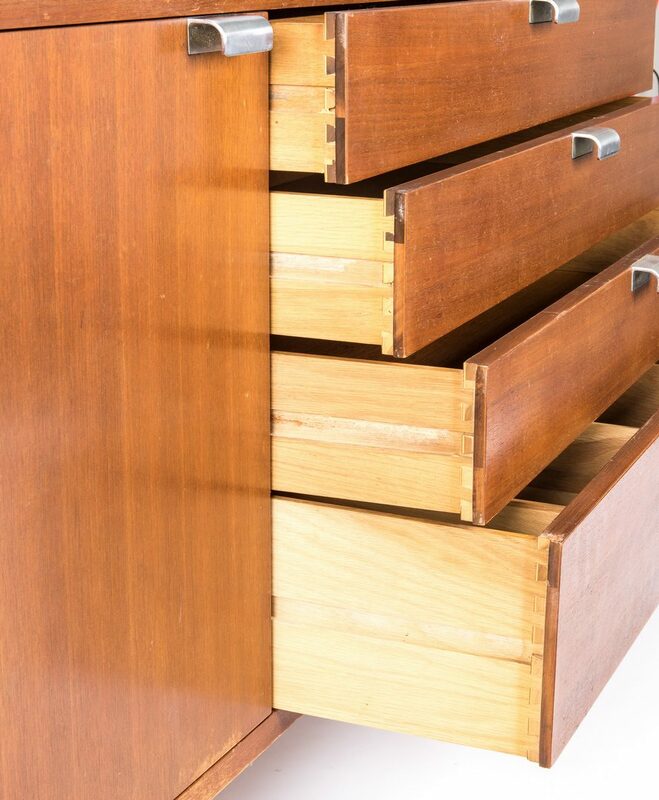 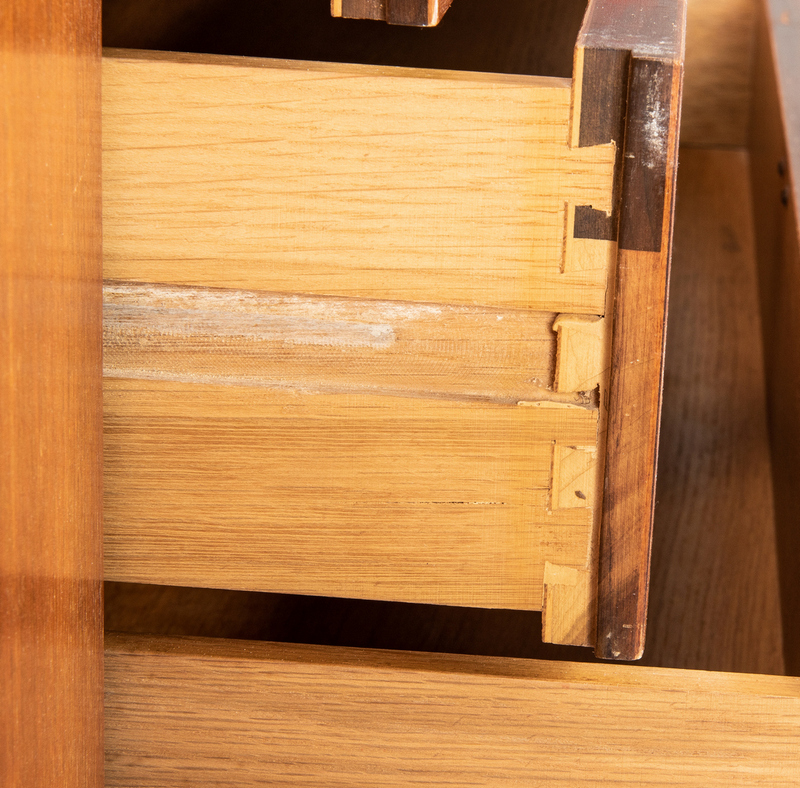 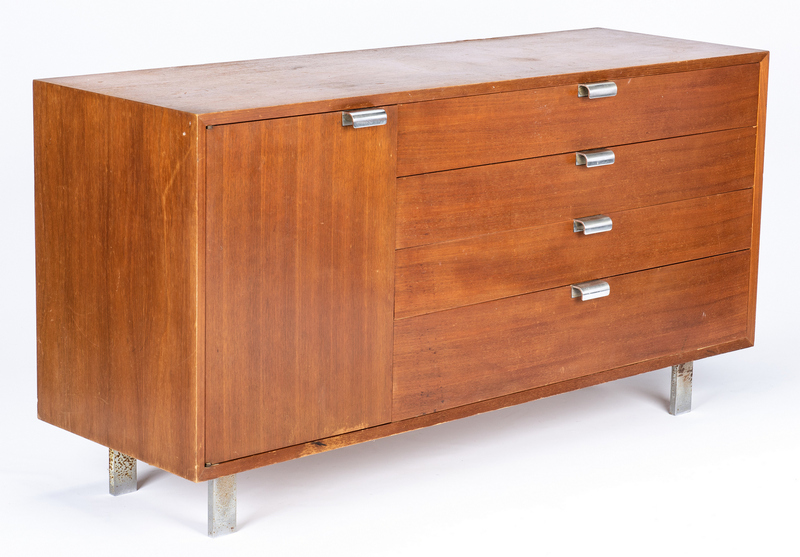 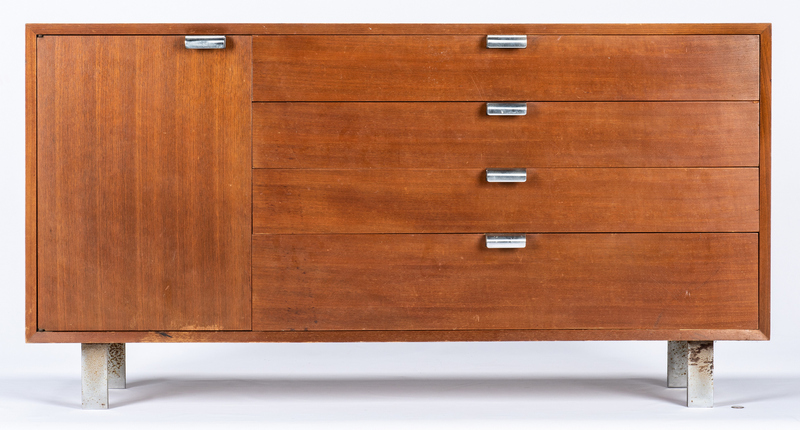 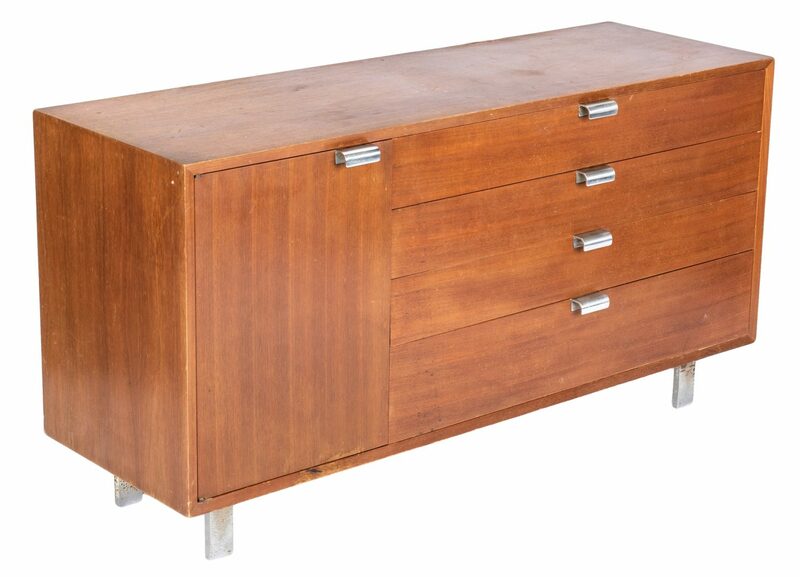 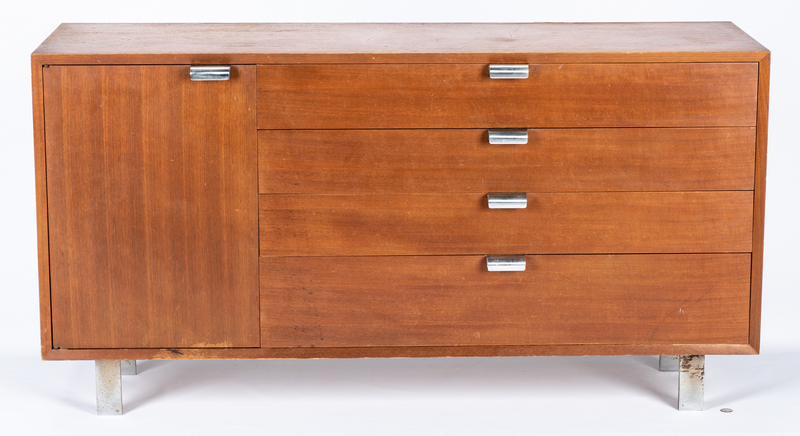 Mid-Century Modern George Nelson/Herman Miller chest, walnut, four dovetailed drawers and one cabinet with two adjustable shelves, all with chrome pulls and supported by chrome block supports. Marked "1951/4" in black on back and "4712" with handwritten "B" on base. 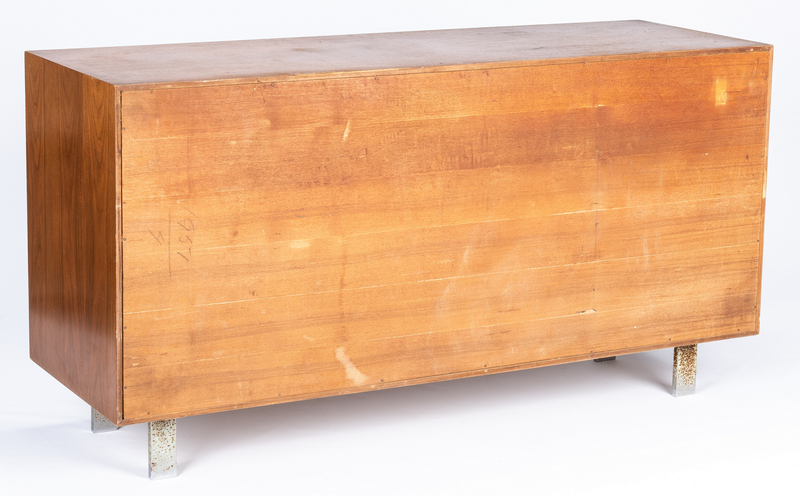 29-5/8" H x 56-1/4" W x 18-1/2" D. American, circa 1960. 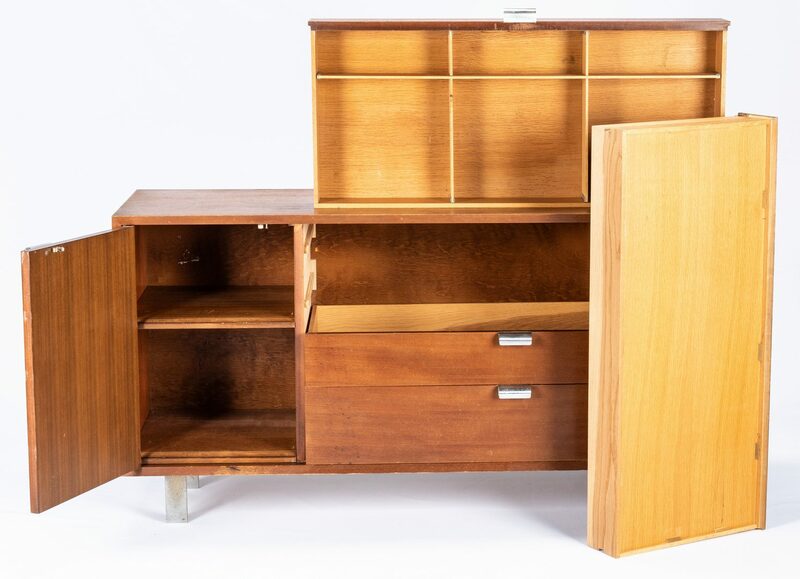 Cabinet also contains one Herman Miller Co. stock payout check for $0.80, addressed to owner, who was an employee of Herman Miller. 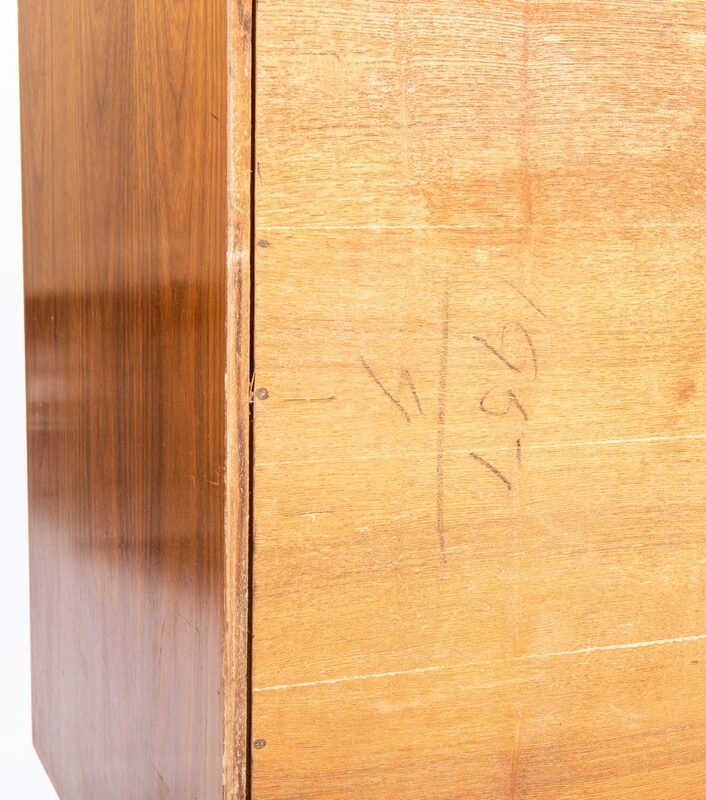 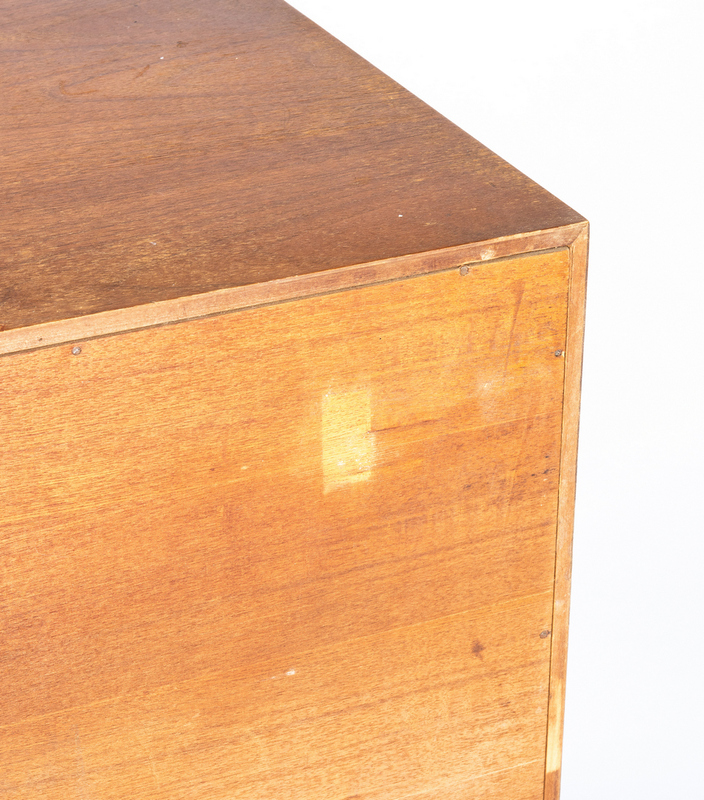 CONDITION: 5-inch long veneer loss at back edge on top surface. 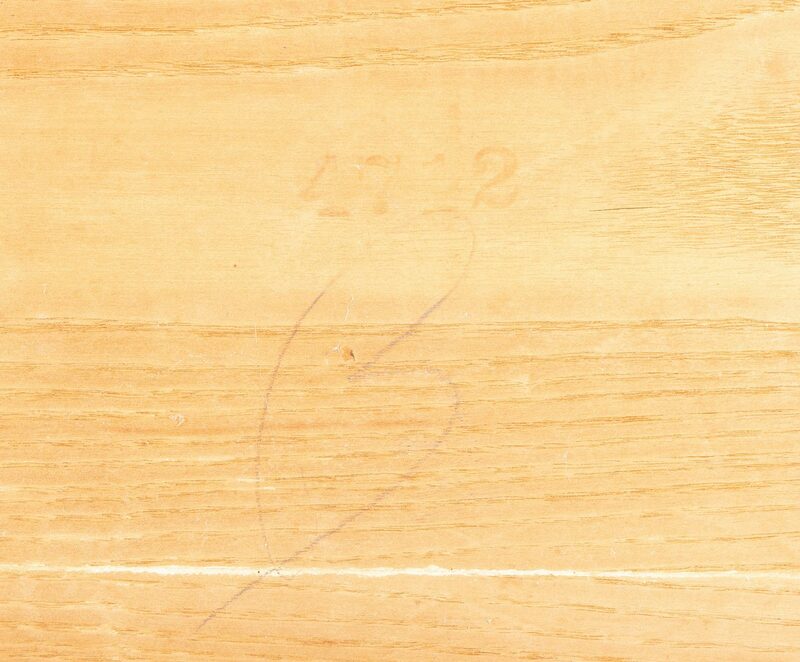 Scattered water stains and surface scratches on top. 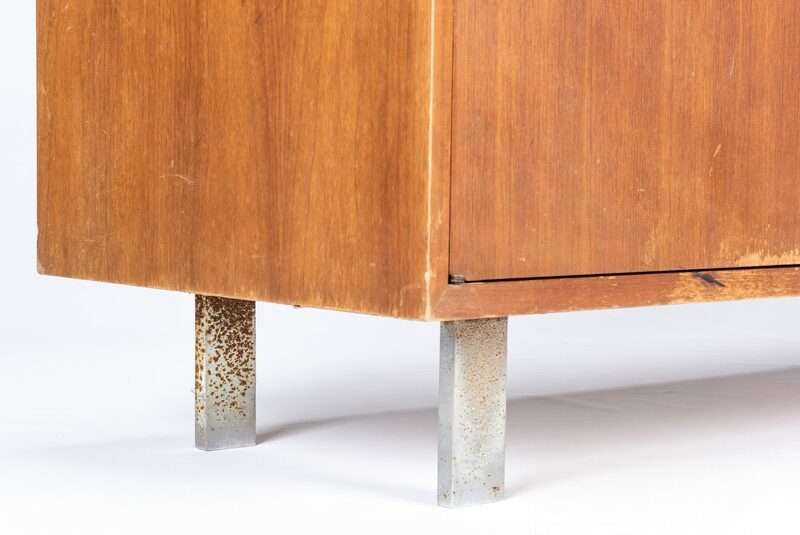 Some rust to chrome supports.